Desc: Landstrom's Black Hills Gold double horseshoe diamond ring. The two horseshoes back up toe to toe. The diamond is prong set between the toes of the shoes. 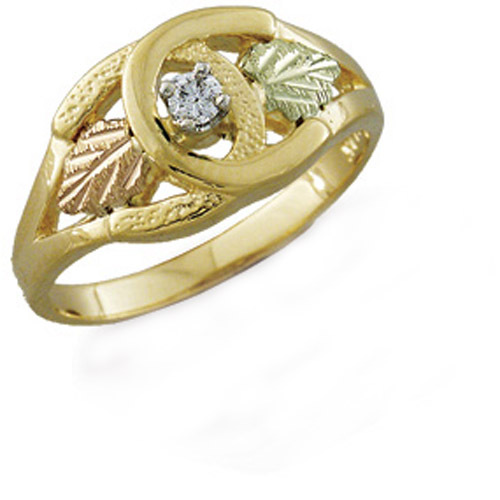 Rose and green gold leaves are mounted inside the horseshoes.